Desi at age six posing for a photo. This photo is taken almost six years after Glenda had an emergency C-section because Desi was developing fluid around her heart. Desi pictured at six months old. Glenda Pacheco was 27 weeks pregnant with identical twin daughters when she had an emergency C-section because her daughter, Desi Pacheco, was developing fluid around her heart. Once the twins were born, Desi’s identical twin sister, Ashleigh Pacheco only lived for two hours. A day after their birth, Glenda nearly lost her other daughter when Desi’s heart failure nearly ended her life. Glenda and Desi remained in the hospital for 10 weeks and during the eighth week, Desi had a Ventriculoperitoneal Shunt procedure, a procedure that primarily treats hydrocephalus, a condition when fluid builds up in the skull and causes the brain to swell. Glenda said Desi’s diagnosis has been the hardest thing she has ever dealt with because their situation is different to what other people have experienced. Even after joining a special needs support group, Glenda said she finds herself alone in this journey. 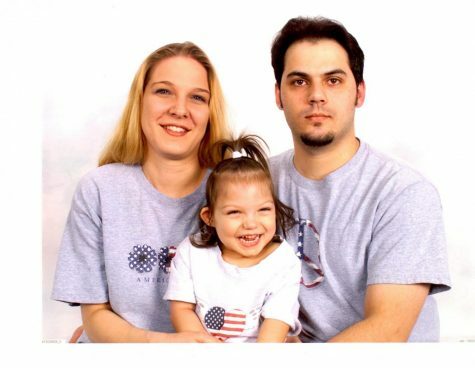 Desi pictured with her family at age three. Desi said her parents have always been there for her and do everything they can for her. Desi’s main diagnosis’ are cerebral palsy, hydrocephalus with a VP shunt and spasticity which causes her to have high tone. 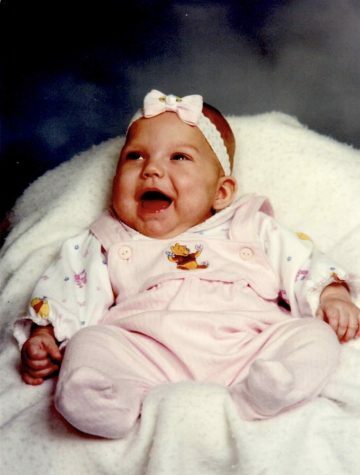 As Desi has grown up, Glenda said she has constantly mourned the loss of what Desi’s life could have been. Despite Desi’s condition, the love the family has for each other has remained constant. Senior Desi Pacheco said her parents are always there for her. Currently, Desi has to be pushed everywhere in her manual chair, always relying on someone else. Glenda has always wanted to give Desi more freedom as she has grown up. Seniors Faith McGilvray and Alyssa White, who have known Desi for years through Circle of Friends and church, desired to help Desi and decided to start a GoFundMe page ‘Wheels for Desi’ to help raise money for a power wheelchair and wheelchair conversion. Both McGilvray and White said they were called to helping Desi because God laid it on their hearts. Glenda said she first learned about the GoFundMe page when McGilvray started asking her questions about their van when Desi was 16. McGilvray’s mom called Glenda last year and asked if she would be okay with McGilvray starting a GoFundMe to raise money because it had been on her heart for about two years at that point. White got involved and Glenda said she has known both of them for a long time through church. 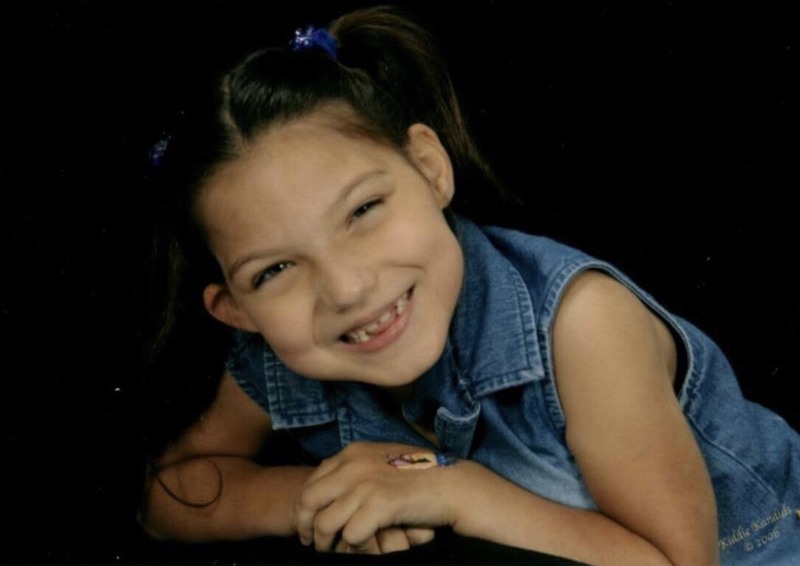 ‘Wheels for Desi’ has been able to raise $7,000 of the $30,000 goal. An anonymous donor has offered to match every penny raised up to $10,000. Glenda said having the conversion done would allow anyone to take Desi places in the van because both of her chairs would be able to lock into place with her sitting in them. Glenda said she hopes Desi will get to do more with friends since they’ll have a way to transport her and not have to do all of that because Glenda and her husband constantly have to be there for everything. Glenda defines Desi as a fighter and a go-getter because she does not let anyone tell her she cannot do something and will prove any doubters wrong every time. Glenda said Desi has the best laugh and smile brightens everyone’s day.